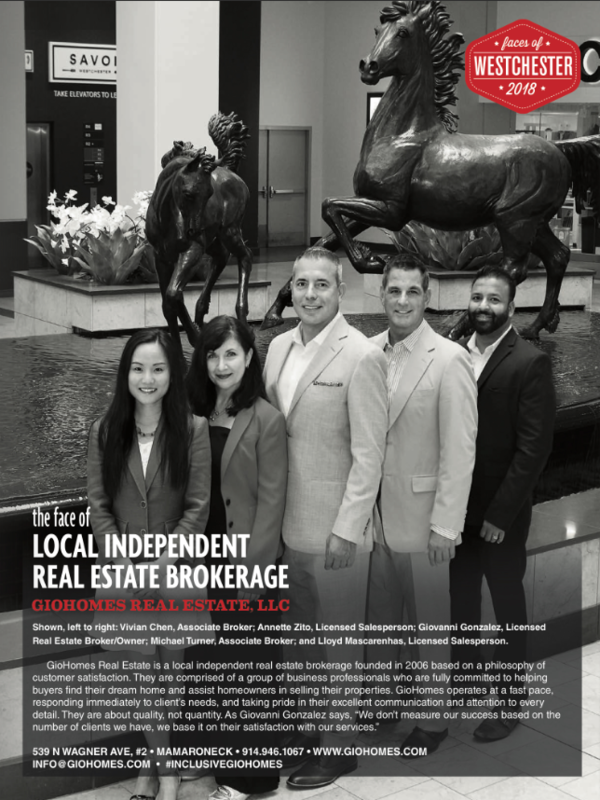 Giovanni is an innovative leader in the real estate business – here is why I think so! If you are like me — you “think” you know what is best — but if you are lucky enough, like I was, you will be open minded and listen to an expert – which Giovanni truly is! And actually I hope you have enough courage to trust and have faith to follow the advice of someone who can be successful in an “up or down” market. Like many, I am a loyal person and wanted the agency who sold me my property to get the opportunity to resell it — again this is just me!. Well the property was not selling and there were not many creative ideas coming from any of the multiple agencies selling my house (and the land that was attached). Along comes Giovanni, and within a week, he presents me with an option no other agent suggested! As you guessed, one that worked. He can tell you the details, but lets just say Giovanni is a person who is an innovative leader in the business — someone “who knows what the buyers and sellers value most.” It goes beyond profits and numbers! I think it is called PASSION?! Humility – Giovanni is someone who is open-minded and willing to listen to what you think might work and what you want – I am glad I did not undervalue this quality most of all! Paul McDade, Partner, Reverberate Marketing Communications Inc. and former Director of Hill and Knowlton’s Health and Pharmaceutical Practice Worldwide. My experience with Giovanni was the best. He is awesome! He really help me with everything, every time I have a little situation during the process he got back to me with a solution. He was very helpful and patience with me. During the time I was looking for my house, bank approval process and closing he was there for me. I am so happy to have chosen him as my broker and I will recommend him to anybody who wants to buy a house because HE IS THE BEST!!!!!! As a first time home buyer, I had a ton of questions and Giovanni was always willing and able to provide with that help. It was a long process, as co-op sales usually are, but Giovanni never slowed down on his commitment to get me to that closing point. I would recommend him to anyone looking to buy or sell property. Since meeting Giovanni several years ago it has proved to be an uplifting and pleasant experience. As an agent dealing with the public he has always displayed a high degree of honesty and professionalism in his quest to help us with our real estate dealings. Over the years we have come to personally know him as a very dependable, hard working person, concerned with how his clients perceive him as a professional. For us, his remarkable work ethic in today’s difficult market condition has never wavered and continues to be a positive influence on us. We have recommended his services to a number of our friends with the same results and are very comfortable knowing he is working hard for them. Finding him was our luck, and the real estate industry and agents alike can learn a great deal from him. Working with Giovanni has been an absolute pleasure for me and my wife. Giovanni was extremely helpful and patient. He understood our needs and was truly with us every step of the way. We highly recommend Giovanni. Giovanni Gonzalez was our Seller’s Agent representing us in the sale of a co-op apartment in White Plains, NY. We contracted his services prior to the housing market meltdown and the sale was settled in mid-August 2009. Since I live over 100 miles away, Giovanni offered to keep an eye on contractors working to clean and upgrade the apartment prior to showing it to prospective buyers, periodically sending me digital photos to keep me appraised of progress. He even offered to remove electrical wires missed by a contractor and repainted several areas of rooms where needed after the removal of some cabinets by another contractor was complete, instead of us having to hire a painter. After several prospective buyers complained about “sagging” floors in some rooms, Giovanni’s prior contacts with members of building management and the co-op board allowed him to get action for the replacement of the flooring in half of the apartment (at no cost to us) due to defective flooring support in the boiler room beneath the apartment. After the housing market meltdown, Giovanni worked tirelessly to secure a buyer. After several potential buyers were rejected by the board of the co-op, he finally found a buyer who passed the review and worked closely with our attorney, the co-op board and building management office to resolve delays in getting to settlement. Settlement went like a charm. While I will have no further need for his services, I will definitely keep in contact with Giovanni whom I now consider my friend and I HIGHLY RECOMMEND him to other buyers and sellers in the Westchester County, NY, area. While I was talking to a friend of mine who was a mortgage broker he recommended me to Giovanni and I couldn’t have been steered in a better direction. Giovanni worked diligently with me and walked me through the home buying process as a first time home-buyer. He was patient with me when I had 1,000 questions and never put any pressure on me to buy something that was not exactly what I wanted. Better yet, he gave me important information on a co-op that if he had not, would have been horrible for me if I decided to buy in that Cooperative I ended up buying a great co-op in White Plains that I probably never would have found without G’s help. I would recommend Giovanni to anyone who is looking to buy or sell a home. Giovanni worked diligently with me for approximately one year to locate a house that suited my needs perfectly. He made extensive efforts to understand what I wanted and always made excellent use of my time. Giovanni’s dedication extends to his use of technology with a personal website that is full of useful information for buyers and sellers. On top of his professionalism as a Real Estate Broker Giovanni is very personable and a pleasure to work with. My fiancé and I were both first time home buyers. Giovanni came highly recommended by the branch manager of a local mortgage company. My fiancé and I were very particular in what we wanted in a home. Giovanni worked with us and showed us numerous listings in a period of 8 months. Giovanni in no way pushed us into purchasing something that was not to our liking. He was extremely patient with us in giving us the time we needed to find the home that fit us just right. Even after we purchased our place, Giovanni continued to check up on us. There were a few things that the builder still needed to repair. Giovanni advocated for us and played a large part in getting those repairs completed in the time we needed. I would absolutely recommend Giovanni to anyone looking to purchase a home. He will work in accommodating your needs in a home and make the experience an enjoyable one. about a year. He is patient and kind. Giovanni showed us about 50 homes before we fell in love with one. My husband was very difficult in finding the perfect place to live. Giovanni never gave up on us and finally he found our perfect home. Giovanni is knowledgeable and really cares about his job, I would recommend him to anyone. I was not even looking to move when I received a cold call e-mail from Gio telling me about a great condo apartment. I thought it was a great investment and agreed to buy it, with a contingency to sell the co-op apartment that I owned. Gio found a buyer and the place sold. The whole deal was completed within 3 months. He was on top of the process all the time. He held two open houses and the place was shown many times. Gio was the consummate Real Estate Agent–I recommend him highly.